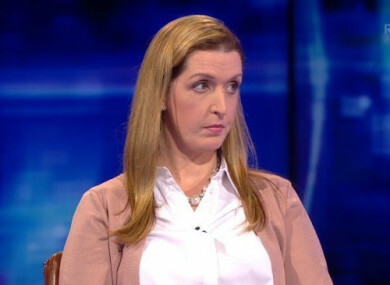 VICKY PHELAN, THE terminally ill Limerick woman who brought the cervical cancer scandal into the public eye, has said that the HSE has agreed to cover the cost of the drug is she taking. Last week, the 43-year-old mother of two, whose cervical cancer is now terminal, settled a High Court action against a US laboratory for €2.5 million over incorrect smear test results from 2011. Phelan’s missed results first came to light in 2014 following an audit of all smear tests. Separately, the same year, she underwent a second smear test which revealed she had cervical cancer. Her doctor wasn’t informed of the incorrect 2011 results until 2016, and she herself wasn’t informed until a further year had passed. Phelan is currently undergoing clinical trials in a bid to keep her alive for as long as possible. In January of this year, she was given between six and 12 months to live. She is currently on a treatment drug which costs €8,300 per dosage. She receives an infusion every three weeks. Speaking to RTÉ Radio One’s Ray D’Arcy Show on Monday, Phelan said the HSE had not offered to cover the cost of her clinical trial treatment. Phelan returned to speak to D’Arcy this afternoon and said that the HSE has now confirmed that it will, in fact, pay for the drug. “I was told by my local TD Kieran O’Donnell, who has been campaigning for me for the last number of weeks to try to get the drug, nevermind to not have to pay for it,” Phelan said. I got a phonecall from him to say I won’t be getting anymore invoices from St Vincent’s and that the HSE is going to cover the cost of my drug. “If I was on that drug for a year, that’s €150,000, it’s a lot of money,” she said. The HSE confirmed this week that 17 women whose cases were reviewed as part of an audit into the CervicalCheck controversy have died. It has not been determined if their deaths were due to delayed diagnoses. These women were among 208 whose original smear test results differed when reviewed again. During her conversation with D’Arcy, Phelan confirmed that she has received a formal invitation from the government to take part in a scoping inquiry that will set out to find all of the facts in relation to the scandal. “I am happy that I am going to be involved because at least there will be somebody on this committee who will be sitting there representing the people,” Phelan said. “From everything people know about me already, I am not one to take things lightly, so I will be grilling them and I won’t be making it easy,” she said. In a statement this evening, the National Association of General Practitioners (NAGP) said it is advising patients that they may experience some delay in getting an appointment to see their family doctor. This is due to the increased demand placed on GPs as a result of the ongoing controversy, the NAGP said. It is advising that patients should contact the CervicalCheck helpline in the first instance, should they have any queries related to the CervicalCheck programme. “We are hoping the HSE will issue guidance or advice to GPs soon because at the moment we are facing many worried women daily but have no more information to provide them with, other than what is already in the public domain,” the NAGP said. Email “Vicky Phelan says HSE has agreed to pay for her clinical trial cancer drug”. Feedback on “Vicky Phelan says HSE has agreed to pay for her clinical trial cancer drug”.